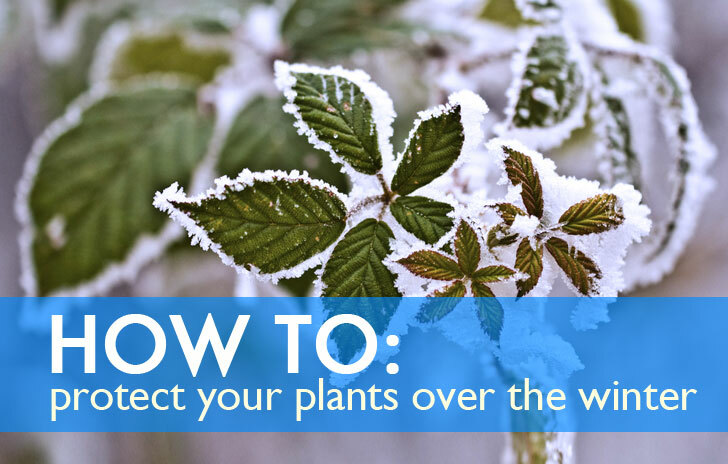 Homeowners are always interested in how to protect plants during winter cold weather where freezing temperatures are expected. The number one protection and the easiest is to make sure plants have sufficient water in the soil before cold weather arrives. This can be provided by natural rainfall or if conditions are dry, by using your irrigation system. Hand watering can also provide moisture if you do not want to run your irrigation system. No matter how you choose to add water, do so! By adding water to the soil, this creates a microclimate that will minimize the affects of the cold weather during short term freezing temperatures. It is more difficult to cool humid, wet soils than dry soils. The soils in our area are normally warmer than the cold air temperature so adding extra moisture around plants can help hold the heat in the soil minimizing heat loss and temperature fluctuations. This will protect the root system of tender, perennial plants. Covering plants can also reduce heat loss but do not use plastic. Use burlap, blankets, sheets, fabric tarps or cardboard boxes to help reduce heat loss from soil around plants. Make sure to stake the covering down so the wind does not wreak havoc. Remove these materials from around plants as soon as temperatures warm up. Container plants can be moved inside but be wary of unwanted pests coming in to the house with the plants. By providing protection this winter, plant dollars can be saved in replacements in the spring.